Upshire have booked their place in the second round of the Corinthian Cup this season as they put nine goals past Division One side Ridgeway Rovers to secure a 9-1 win. They now progress on to a mouth-watering match with Warren United in the second round. Also making progress through to the next round were Korona Redbridge who came up against an improving Wanstead Albion outfit. Albion netted through debutant Joshua Mangan but two Korona goals from Tomasz Cenin in reply added to a Dawid Smolarek effort to earn the hosts a 3-1 victory. The shock of the day in the Trophyland Cup came in Manor Park where Division Four side Newham Athletic overcame a division difference against West Essex to run out 4-2 victors. James Farmer was the hero with a hat-trick and Lee Archer also netted to book their place in the third round. 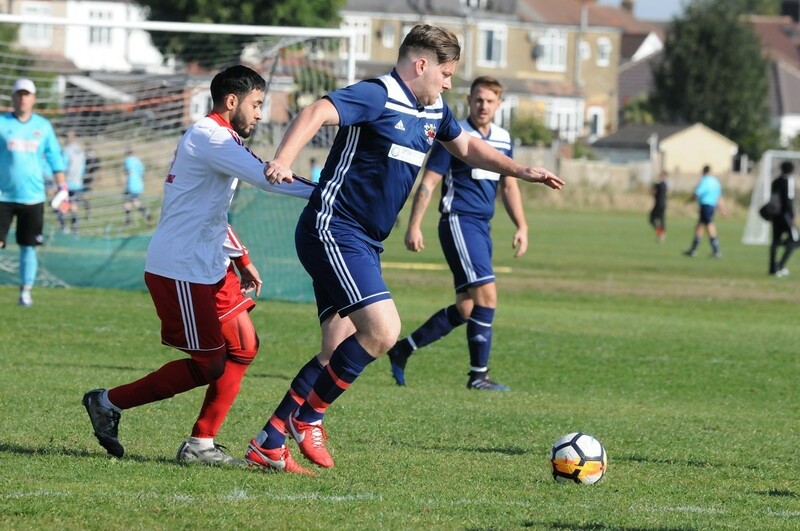 In East Ham, there was an interesting looking clash as one of the Division Four high-flying sides, Grey Area, played host to Division Three’s title challengers in the shape of Central Colts. But a pair of goalscoring doubles from Donavan Reynolds and Tunde Olagunju earned Colts the 4-0 win on the day. Securing safe passage into the third round were Masterman who raced into a lead against Asianos Reserves from Division Four through goals from John Bruce, Lewis Foster and Freddy Bloss. Asianos responded well in the second half but were unable to prevent Masterman running out 3-1 victors. Repton Park continue to top the table after the first month of the season following an exhilarating seven goal thriller against the reigning champions, Warren United, on Sunday. A brace from Harry Agombalor and a George Cranfield effort were not quite enough as Jayden Ambrose scored twice for Repton with one each from Charlie Henry and Matthew Stacey completing a 4-3 win. Keeping close company with the leaders are El Valiente who were 7-1 winners against Ultimate Vision on Sunday in their match in East Ham. Jonathan Hime netted for Vision but two goals from Sam Edwards plus one apiece for Aaron Marston, Ash Lee and Ryan Stowel earned their side the win. In Division One, SL Menfica have opened up a three points lead at the top of the table after recording a fourth win in five matches at the weekend. A hat-trick from David Hornsby and a Kris Brown effort helped their side earn a narrow 4-3 win at home to Westferry Elite on Sunday. Continuing their perfect start to the new season were St Augustines who have adapted well following promotion to this level and made it three wins from three with a local derby victory against Valentine United. David Fitzgerald scored the only goal of the game in a 1-0 win to move second in the standings. Recording their first points and victory of the season were Virtue who pulled off a stunning win against third placed Valiant in the Hainault derby. Just a single goal was enough separate the sides in a tight contest as Virtue earned a 1-0 victory and moved up to seventh place in the standings as a result. It’s looking tight at the top end of Division Two as FC Kulture Klub made a move up to third in the table on Sunday with a thumping 11-0 victory away at Chicago. A hat-trick of hat-tricks paved the way with Oliver Modeste, Gerhard Krasniqi and Solomon Eriero each taking home the proverbial match ball with Marcus Castano and Fabio Nunes getting the other goals. Lonsdale extended their perfect start to the season with a solid 4-1 victory at the weekend as they saw off London Fire Brigade in Chadwell Heath. Jack Marston continued his fine form in front of goal with a hat-trick and Anton Gjergji’s effort rendered a John Hines effort as just consolation for the visitors. Mirroring that scoreline was Bretons Manor’s trip to Walthamstow Avenue with the hosts having started the season with a point from their opening two games. They made up for lost time with a 4-1 victory over Manor as Sam Cooper’s goal for the visitors was overcome by a Zachery Leitch hat-trick and a John Pluckrose effort to quadruple their points total. Roneo Colts have moved up to third place in the table in Division Three as they made it seven points from their first five games with a 4-1 victory at the weekend over Ping City Phoenixes. Chris Pope scored twice with Rhys Marshall and Jamie Allen getting one each to search their side the win. Hornchurch Oakmont remain unbeaten so far this season and extended that record with a 3-2 win at the weekend away at Thames Ironworks Community in Plaistow. Thomas Gibson scored twice and James Mitchell once for Hornchurch with Theo Towli and Micah Walter goals proving not quite enough for Thames as the visitors returned home with the points. Also moving up the table were E4 Rangers who played host to a Dagenham United Reserves side on Sunday. Mitchell-Christopher Edmonds and Ryan Radley both scored twice for the Walthamstow based outfit and Charlie Perry once to overcome a Zachary Hayles-Lee effort for the Daggers. The top end of Division Four is looking very close with four sides separated by just two points so far. East Ham Inter joined the pack with a hard fought 3-1 victory over Alliance United. Hamed Seif grabbed the Alliance goal but one each from Delphin Xavier, Barjinderpal Singh and Kulbir Singh. Leading the way are Woodford who returned there following a 6-0 home win at the weekend over Thames Ironworks Community Reserves. Charlie Saywood’s early season form is looking good as he scored another hat-trick with efforts from Ryan Hall, Jake Silk and Luke Barrow also scoring. Getting off the mark were Custom House Community who secured their first points of the season as they entertaining Oak Royals at the Terence McMillan Stadium at the weekend. A close battle was edged by Custom goals from Thiago Da Silva and Vinicius Rodrigues as Custom House won through 2-0 to move up the table. It was a good day for Corinthian sides in the county cup competitions as both sides taking part in the Essex Junior Cup won through to round two. Dagenham United put in a sparkling performance against Thurrock Sunday League outfit Stifford Social Club, cruising to a 6-0 victory to earn a place in the next round against Emerson Oak. Following Dagenham through to a place in round two were FC Mexico who were involved in a good battle against Brentwood League based Oaklands in Newbury Park. The sides ended level at 1-1 after ninety minutes before two extra-time goals finally settled the match 3-1 in favour of FC Mexico, confirming their slot in the next round against Aveley United. In the Essex Sunday Junior Trophy, there was an intriguing battle between two of our Division Two outfits as Goresbrook made the short trip to Mayesbrook Park to take on Barking. The visitors will have gone home the more satisfied of the sides as they won 3-0 to book their place against Roneo Colts in the next round. Completing a day of success for our sides in outside competition, Royal Albert were on the road with a trip to face Loxford Lions. A closely fought tie was eventually settled by a single goal with Albert the beneficiaries in a 1-0 victory to go through to a local derby tie against Custom House Community. Completing the day’s action was a real humdinger at Fords Newbury Park where two Premier Division sides, Flanders and Brook Athletic, came head-to-head in the opening round of the West Essex Charity Cup. Flanders had to come from behind to level the match at 2-2 and take it to extra time before netting in the extra thirty minutes to secure a 3-2 win, earning a place in the quarter finals as a result.